Most of our treks that include a train to Machu Picchu feature a combination of Expedition and Vistadome service on Peru Rail, or the equivalent service on Inca Rail. 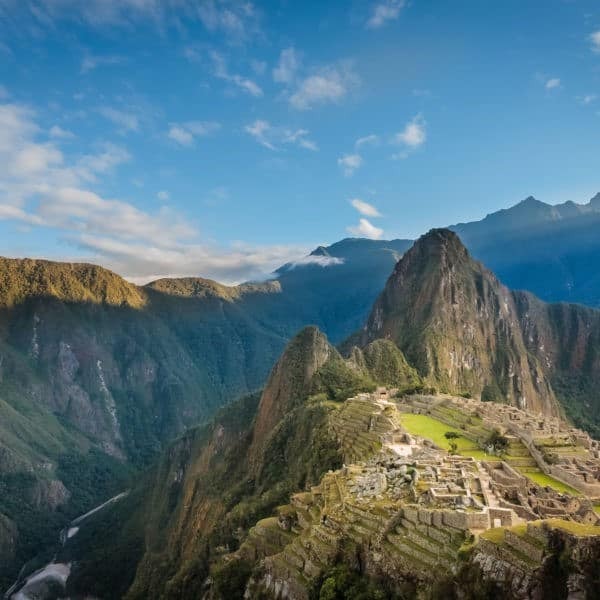 Upgrade any included Expedition train to Vistadome or equivalent Inca Rail train, or for extra luxury, splurge on an unforgettable ride on the Hiram Bingham train to Machu Picchu! Contact us for upgrade prices. Peru Rail also offers some incredible and luxurious train rides between Cusco, Puno and Arequipa. 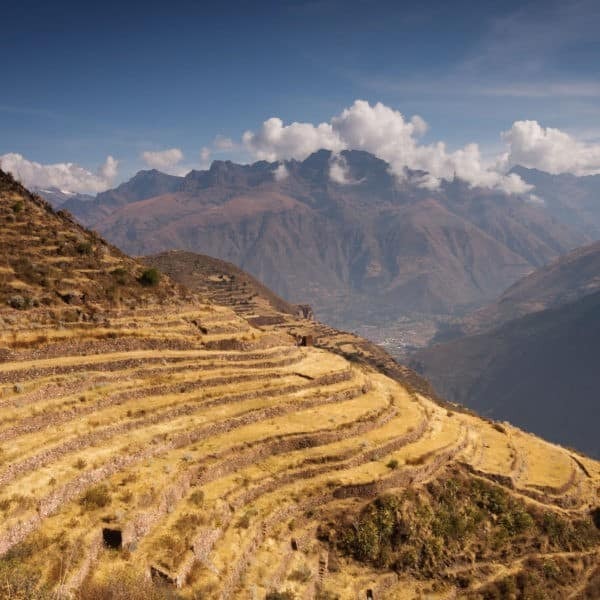 Read on for all the details about these incredible Peru train journeys! The Expedition train to Machu Picchu lets you travel to Machu Picchu in complete comfort, taking in the beautiful vistas while being catered to by their well-trained staff. Enjoy a hot or cold beverage and a snack for purchase and take advantage of some onboard shopping. The helpful staff at Peru Rail ensure you have everything you need for your ride on this train to Machu Picchu. The Vistadome train offers a unique way of traveling by train to Machu Picchu, with its panoramic windows, traditional music and dances. 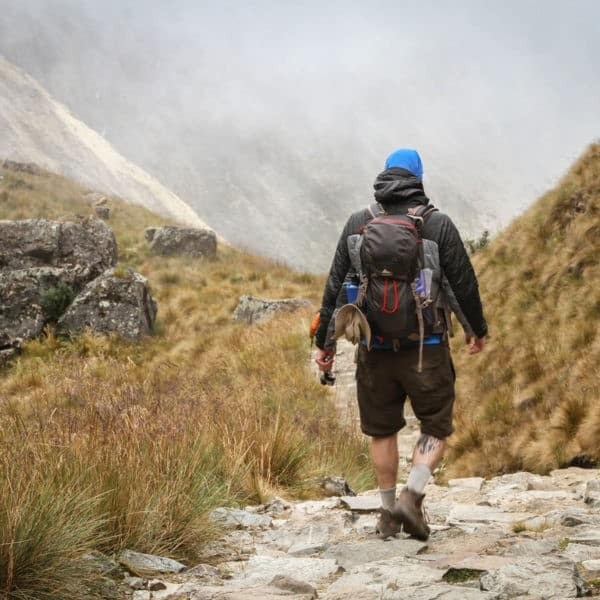 You’ll feel like you’re somehow part of nature itself as you take in the stunning Andean scenery stretching above and all around you. Enjoy delicious refreshments as you watch skilled traditional dancers perform in the aisles. Return trips on this train to Machu Picchu also include a fashion show featuring the latest in alpaca garments, all of which are available for sale. For those who are lovers of luxury or great train rides, this Machu Picchu train is for you! The sumptuous Hiram Bingham train features Pullman-style carriages inspired by the glamour of the 1920s. The fine fabrics, wood details and antique fittings will whisk you away to another time and surround you in old-fashioned charm, all as you ride the train to Machu Picchu! Named for the American explorer credited with the rediscovery of Machu Picchu itself, the Hiram Bingham train to Machu Picchu is the perfect complement to your once-in-a-lifetime visit to the ancient Inca citadel. Gorgeous scenery, gourmet dining, and traditional Peruvian and international music performed live complete the experience. Without a doubt the most special way to rid the train to Machu Picchu. Please enquire for more details or to book. This luxury sleeper train is the first of its kind in South America, debuting in 2018! Travel from Cusco to Puno and Lake Titicaca and then on to Arequipa on a journey that’s sure to create memories that will last you a lifetime. One- and two-night journeys available. 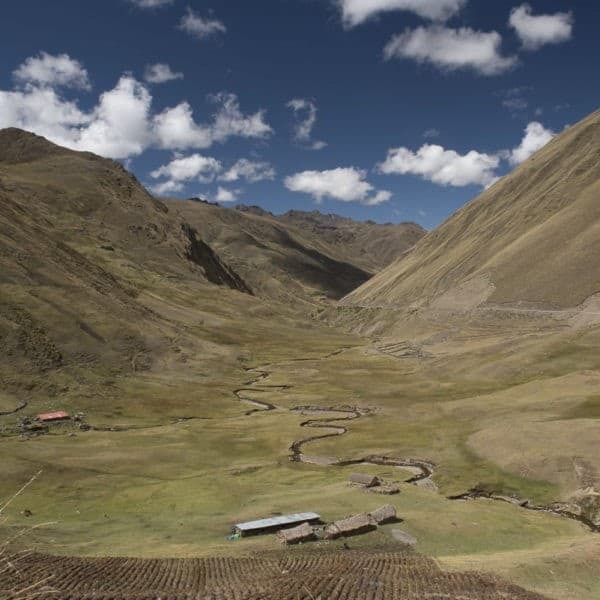 Please enquire for more details or to book this in incredible Peru train journey! This unforgettable Peru train journey takes you 338km from Cusco to Puno over beautiful terrain and in complete luxury. Traveling at an altitude of 3354m (11,004 ft), the Titicaca train features an open-air Observatory Car, allowing you to get close to nature as you travel by train through the Andean hillside. You will have plenty of opportunities to take photos of the stunning landscape, all while taking in the rhythmic sounds of traditional Peruvian highland music and dances. Considered by many to be one of the most beautiful train rides in the world, this 10.5h journey features a world-class train with two dining cars decorated in the 1920s style of Pullman cars and the best in gourmet dining. Select departures available; please enquire for more information or to book this once-in-a-lifetime trip! 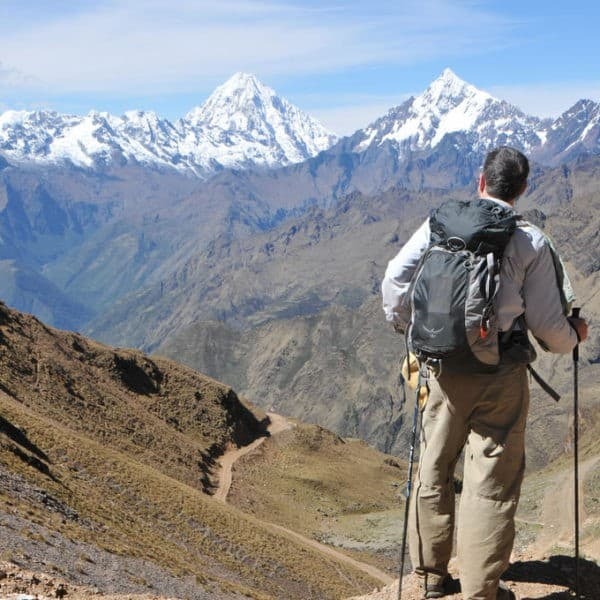 Travel from Urubamba to Machu Picchu and back surrounded by sheer elegance. The Sacred Valley train to Machu Picchu’s design takes its inspiration from the luxury of the roaring 1920s, and the trip combines spectacular views with a level of fine dining normally reserved for top notch restaurants. Your journey begins with an Andean infusion, enjoyed in the Observatory Bar Car, followed by a gourmet lunch, while the return journey includes a sumptuous dinner. Both meals include an appetizer, entrée and dessert. Total travel time is 6 hours (3h each way). A lovely way to travel to Machu Picchu by train!